14th Meeting of the Joint Working Committee of IOAA and the AAAI-Outdoor Media Forum ie Kinetic, Posterscope, Milestone, MOMS, Platinum, Rapport and DDB Max Mudra and Ignite Mudra, along with AAAI representatives Mr Sam Balsara and Mr Ashish Bhasin, was held on Feb 25, 2019. These meetings are held to review implementation of the Standard Operating Process (SOP – copy available in IOAA website) and other measures to push growth of the Out-of-Home Advertising business in India. 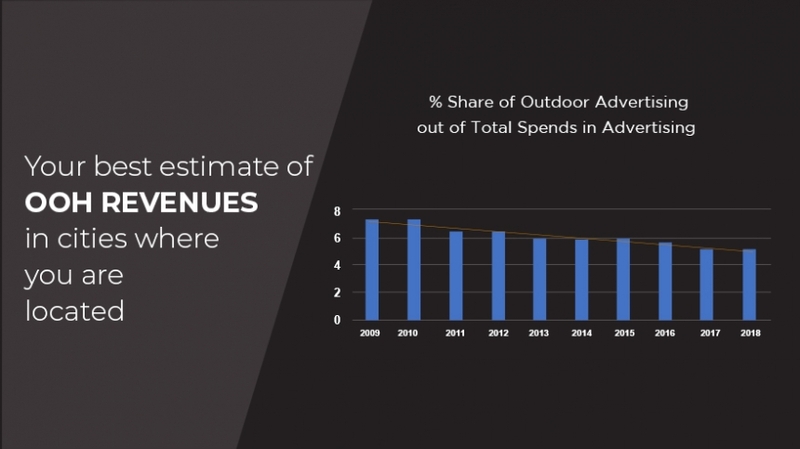 It is well established that the largest advertisers in Outdoors channelize their business through these Agencies and that accounts for upto estimated 60% of the industry revenue. As such, this is a critically important segment for this industry. Having said that, it also needs to be appreciated that while the Agency – Media relationship is typically that of a buyer & seller, both are tied to the future growth and well-being of this industry. As such, common interests and improved working systems will and has emerged only out of constant interaction and increased understanding of each other’s limitations and capabilities. In any case, each needs the other to improve growth and efficiency; for the media businesses, AAAI-OMF is a body that can be engaged with and every step towards a stable and systematic process is a step forward and that can be emulated for the other 40% or more – because that 40% - or more – are very fragmented and defies any engagement. Issue of PO/RO: IOAA presented data for the period Aril 01, 2018 to Dec 31, 2018, from 3 large, nationally present members, on delays in receiving POs after the last day of display. It was apparent that 47% POs were being issued more than 30days after display had ended. Only 32% POs were received either before campaign ended or within 15 days of display ending. Agency heads took note of the same and assured to take steps to improve the situation. It was also agreed that this data will be obtained from more IOAA members, tracked and presented on a regular basis to ensure performance improves. Overdue payments and Overdue review meetings: Records were discussed that both attendance by agencies and number of IOAA Members reporting overdues have been reducing over time and both above need immediate remedies. While Agency Heads assured of improved attendance, IOAA pointed out that fear of stop or slow-down of business from Agencies that are declared as having overdues, prevented IOAA Member companies from reporting overdues. It was assured by both Agency Heads present and by AAAI Representatives that any issue of threats or withdrawal of business by any Agency staff shall be considered very seriously and prevented. Hence, they encouraged IOAA Members to come forward and record their overdues so that processes to deal with this may be strengthened. As a matter of fact, currently, the overdues being reported are actually so little compared to overall business, that these instances do not get sufficiently serious attention and focus except for cases reported. As such, these overdues are not viewed as systemic issues and only as exceptions. However, when larger numbers of Members start recording their overdues, the numbers will become substantial and, therefore, get immediate and more serious attention – also as a systemic and regular issue instead of as exceptions. Extensions and Cancellations: increasing issue of the SOP - Extension & Cancellation Grid specifying time frames etc., not being followed was also discussed. It was also recorded that most defaulters were the agencies themselves who insist on lastminute extensions, thus denying another Agency their pre-booked site. It was discussed that these instances shall be recorded and discussed in the next meeting to identify reasons and defaulting agencies. AGENCIES RATIFY IOAA PROPOSAL FOR DEVELOPMENT OF AUDIENCE MEASUREMENT METRICS THROUGH DMIPL ON SAME LINES AS FOR THE UK OOH MEDIA INDUSTRY. After discussions in the recently held Joint Working Committee Meeting, the AAAI-OMF Agencies ratified IOAA proposal for development of Audience Measurement Metrics through M/s Display Metrics India P Ltd (DMIPL) on same line as for the UK OOH industry. Subsequently, the AAAI also approved this on-principle. To oversee the implementation of the Metrics, a Technology Committee (TechCom) and a Finance Committee (FinCom) will be formed. The TechCom will have 6 nominees from Agencies, 4 from the Indian Society of Advertisers (ISA), and 2 from IOAA. The FinCom will have 5 Members – all from IOAA only. These Committees will continuously interact with DMIPL to oversee technical specifications and also costs being incurred. It was further elaborated that the entire study for top 8 cities, including NCR along with Delhi and Thane and Navi Mumbai along with Mumbai, will be completed and available by 12 months after approval of all revenues and modalities for collection of revenues. Also, the initial study will be for all on-road displays only. However, seeing the huge revenue contribution from transit, DMIPL has assured initiating discussions with Airport and other transit concessionaires about developing metrics for these locations as well. With the major approvals now in place, DMIPL, with help from IOAA, will now engage with individual Agencies and also with Media Companies in all the markets to establish a viable modality for collecting payment for the costs incurred for the metrics. HOW MUCH IS THE OUT-OF-HOME INDUSTRY IN INDIA WORTH ? The downward trend is unmistakable and a glaring fact. Even the growth rates have now come down to below 10% to about 8.8% (as per latest E & Y Report on media & entertainment). The reason why this percentage is so important is that if we have to discuss the Outdoor Medium, its importance for brand success, why should operations for Outdoor be standardized, etc., many other issues designed for promoting our medium, very few Clients are willing to seriously listen or spend time because @ 5% - it does not matter whatever happens – its not serious enough for anyone to spend time and energy to rectifying anything at all. So, the industry keeps moving in a downward spiral till there’s no place left. Hence, spend share is very critical for gauging and strategizing for long term growth of the Industry. However, before we go on to actually lamenting this fact, and work on some reactive strategies, lets please take a step back and ask ourselves: are the revenues being considered correct? And here lies the problem – our gut feel says the revenues are under-reported ie for 2018, the E&Y Report states Outdoor revenues as Rs 3,700 crores – which many in the industry feel is a low figure and “actual” should be around Rs 4,500 crores. But – on what basis can this be established? Do we have any hard figures reported by the industry? So – then? The “official” figure will stand at Rs 3,700 crores only till there are hard numbers to prove otherwise. To rectify this state of affairs, IOAA has been trying to collect figures from Members and even Agencies. However, barring one response, in the last two weeks, there has not been any. We believe this simply shows that (a) the industry is not aware of facts regarding themselves; (b) the industry is not using competitive data or facts about the business itself to strategize about their own future plans and actions; (c) extreme lack of professional approach in managing enterprises. This obviously does not augur well for the industry and for those Companies that are striving to establish themselves as progressive and futuristic with a large asset and revenue base. While IOAA can only continue to strive to point out the right way ahead and also arrange to perhaps hold strategy workshops and other training sessions, ultimately, the decisions need to be taken by the Businesses that make up this industry whether to prepare urgently for the future or to continue with matters and deals as they have been happening in the last many years, till the industry does not matter any more in the age of mobiles and internet. We give below the links of the questionnaire about collecting estimates of industry revenues. Please do copy, fill up for the cities / regions known well by you and mail to secretariat@ioaa.co.in before 31-03-2019. This shall also be available on our website till March 31, 2019. We shall continue this topic in our future issues of the IOAA NEWSLETTER too.